Harbor Delight is Unit D128 at Harbor Lights with two bedrooms, one and a half baths, 787 square foot interior and views of the ocean and harbor. Are you looking to buy a condo in Maui? People like Harbor Lights because it is a residential condominium centrally located in Maui with security, swimming pool, and gated entry. You will appreciate the assigned parking space 420 located right outside unit. Harbor Delight is easy to show, move in ready and can close escrow quickly. 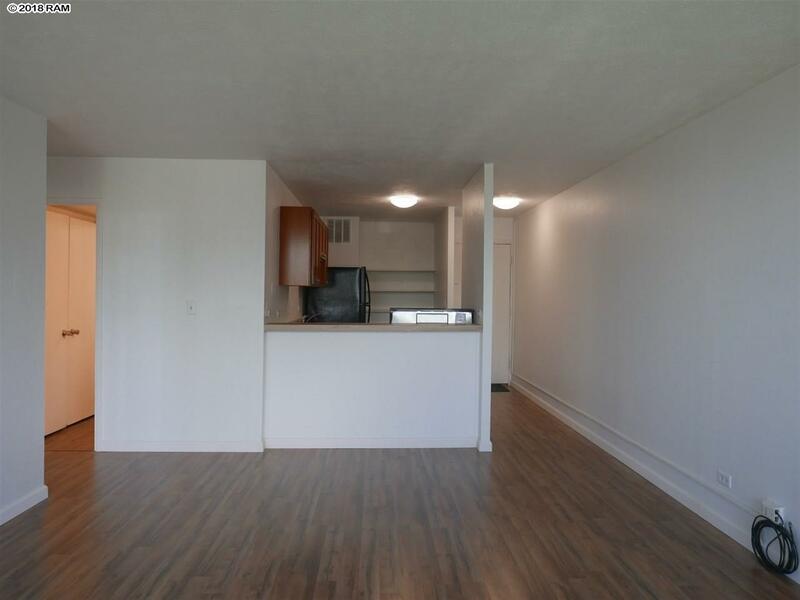 Built in 1974, D128 has upgraded vinyl windows, new fixtures, fresh paint, and flooring. Bathrooms and kitchen are remodeled. 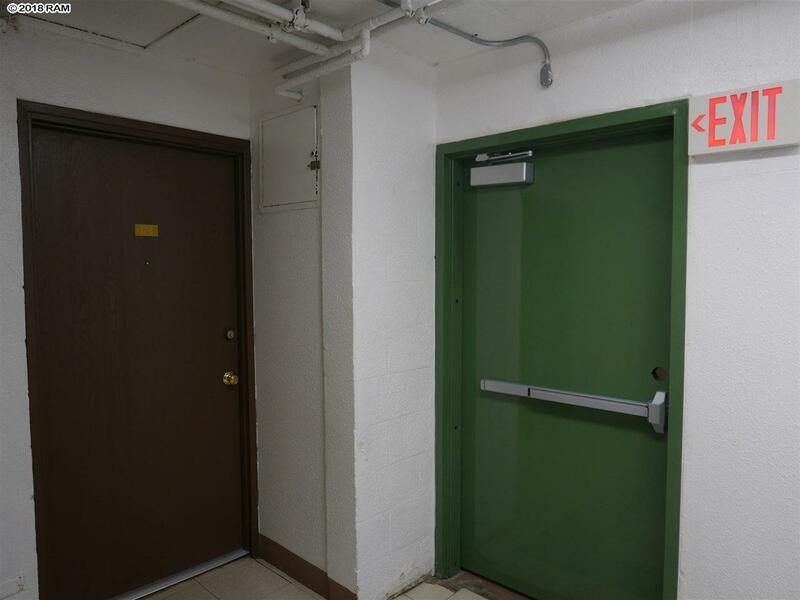 Great location is private, at the end of a long hallway. 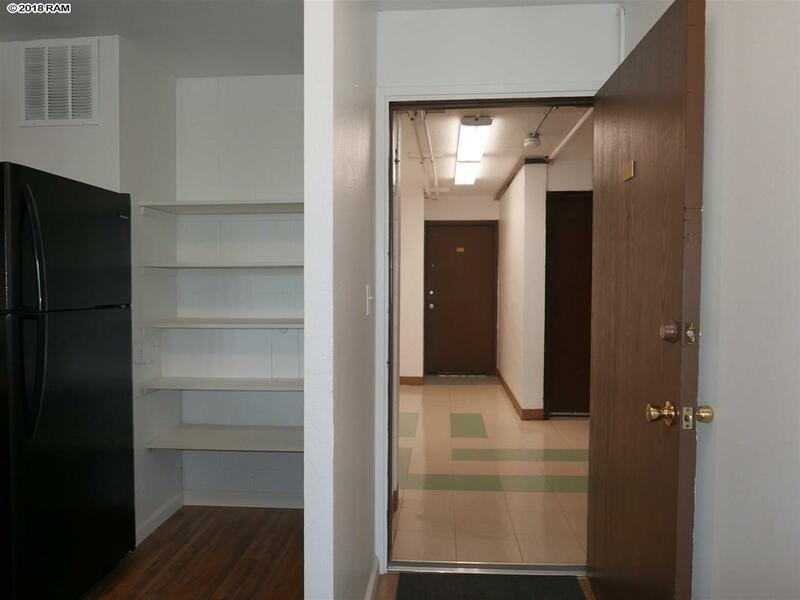 Ground floor unit means no waiting or riding in an elevator to get home or to move furniture. Harbor Delight D128 is an affordable "foot in the door" to Maui Real Estate. Are you or a relative enrolled in UH Maui College? Harbor Delight is convenient to University of Hawaii, Maui. Do you work at the airport or frequently travel to Maui for work or play? 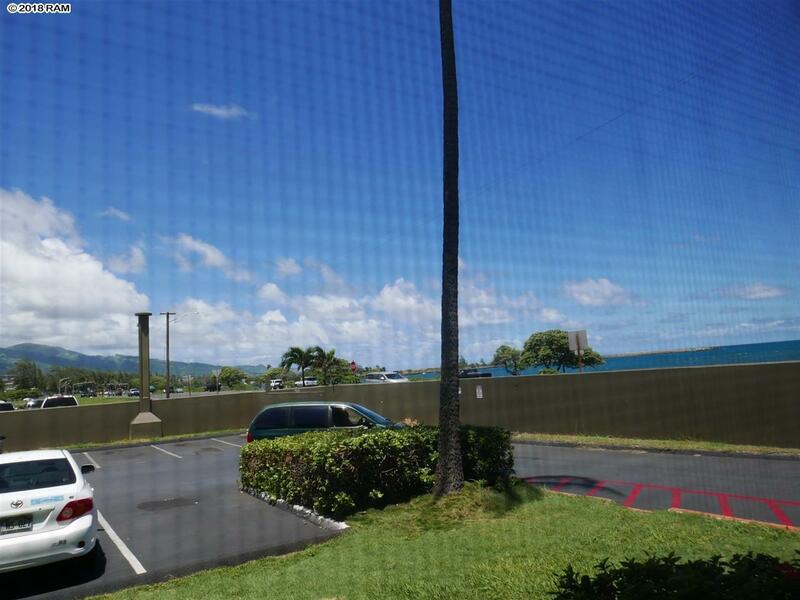 Buy this fee simple condominium unit and have a comfortable place to stay that is minutes to the Kahului airport, shopping, beaches, windsurfing and healthcare and more. You can walk to the Maui Swap Meet on Saturdays or enjoy plays, cultural events and music at The Maui Arts and Cultural Center one block away. Are you an investor? This is a desirable long term rental. Sorry, no vacation/short term rentals or pets are allowed at Harbor Lights. Monthly Maintenance fee is $583.97 and covers basic cable TV, water, sewer, swimming pool, trash. Harbor Lights has a swimming pool where you can enjoy a refreshing dip or lounge on the wide deck. There is a community barbecue area with gas grills and picnic tables to dine al fresco. Buildings have community laundry rooms with coin ops for residents use. Listing provided courtesy of Dinits Realty.